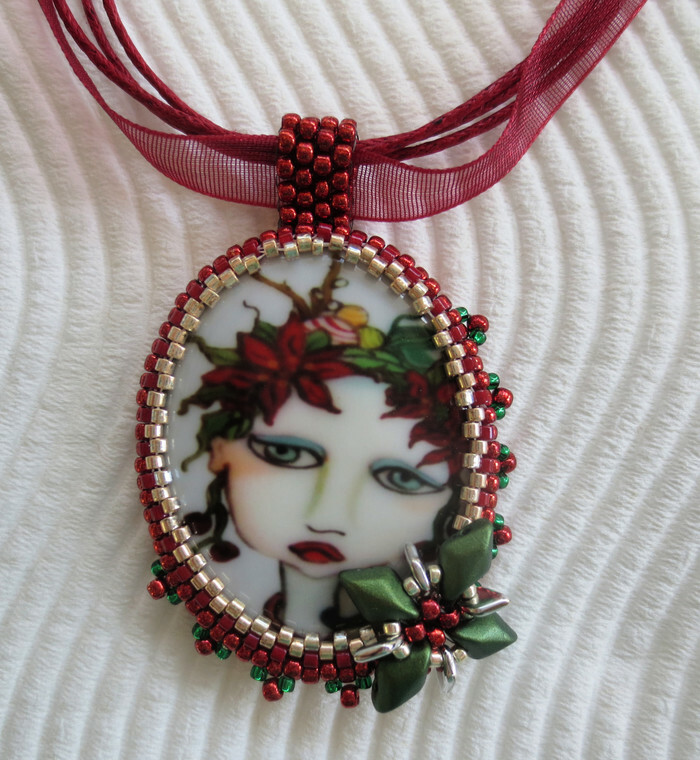 The lovely rendering of the Sugar Plum Fairy on this porcelain cameo was created by Brenda Miller, and was beaded and embellished by me. A beautiful addition to your special Christmas time jewellery. The pendant is approx 3.5 x 4 cms - not including the bail. Do not allow jewellery to come into contact with perfume, moisturiser, body lotion etc., as this can affect colours or cause tarnish. Remove jewellery before bathing, showering or swimming as exposure to water can weaken the threading materials, and may cause discolouration of beads and findings in the case of chlorine in swimming pools.